Potato eating aliens or a type of beer? Unfortunately it has nothing to do with these funny little guys, but it would have been fun though wouldn’t it? 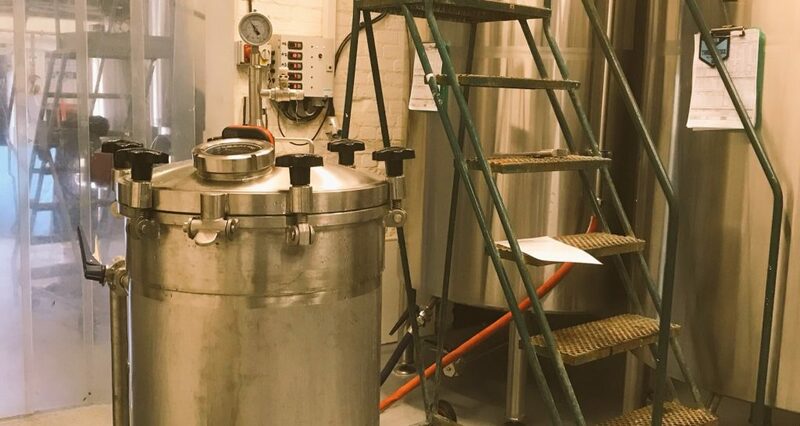 This blog has come along perhaps a year too late, but my procrastination has meant I have more to say about brewing SMASH than before we started. 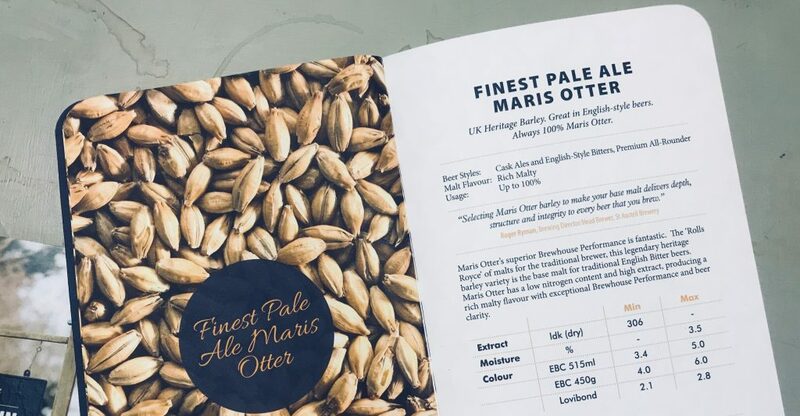 That’s the theme for a range of beers we brewed in 2018, and are carrying on in 2019 because there are still lots of malt and hop combinations we haven’t tried yet, people liked it, and we had fun doing it. One: Drinkers could compare the beers each month, and, aside from any process changes at the brewery, the only thing different in each beer was the hop, so you could really get a taste of it and know that flavour was coming from the hop. Two: We could brew a new beer each month without going through the exhausting process of creating a recipe from scratch every single time (look out for my new book: ‘The Lazy Brewer’, to be published 2037). We are called Grain, and there’s a reason for that. Grain is the soul of every great beer, and our brewery is bang in the middle of fields of arguably the best brewers’ barley in the world. That’s a hell of a thing, and we are proud of it. So SMASH is one way that allows us to explore the flavours of an unadulterated, unblemished and pure brand/variety/style of barley. But that’s not always easy. Beer is made out of four things: Water, Malt, Hops, Yeast, and we are severely restricting the two most influential ingredients in that list. Usually, we create flavours and textures by balancing and blending the grains together – a bit of crystal for colour, some cara-malt for sweetness, a handful of black for roasted notes. But no, none of that in SMASH. We use just one malt, and have to tinker with water profiles, mash temperatures and the such to make sure it isn’t a one-dimensional flop, and hope that the single malt we have chosen has some decent flavour to it. As for the hops, we must rely on the characteristics of that single hop and miss out on combining pine and citrus, or herb and mango to create a new hop cocktail of aroma and flavour. Many hops on their own are not just pure loveliness, they may have some great flavours, but can carry an edge that, unless blended with another hop, can become too overpowering and maybe unpleasant. Or just plain disappointing. 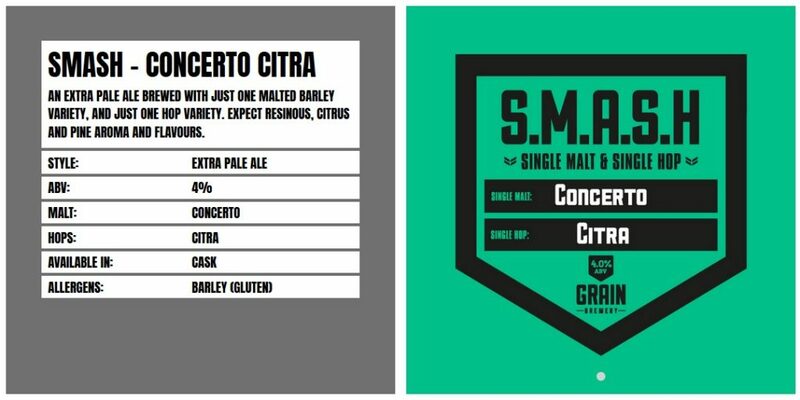 Concerto + Citra was our first SMASH beer. We used pure Concerto Extra Pale malt and a standard water profile, along with a heap of those lovely Citra hops. The result was a thin-bodied beer that smelt of cat’s piss (too much Citra can do this to a beer). Some people liked it. And our brew of Mount Hood hops for Venture + Mount Hood was as aromatic as an iceberg lettuce due to a poor quality batch of hops. However, Planet + Galaxy was glorious, and Maris Otter + Dragon was an unexpected hit, especially in Key Keg, with a perfect balance of the ingredients. We learnt a lot last year, and had fun testing out the different techniques for late hopping, dry-hopping and using our hop rocket, so look out for more of our SMASH beers throughout the year. We have some new tricks to try, so enjoy the belters, and we’ll do our very best to avoid those that turn out to be more SHASM than SMASH.